There is no doubt that Grand Theft Auto has become a worldwide phenomenon, so it’s not surprising that the latest game in the series, GTA V, has turned out to be something of a sales powerhouse. Actually, Rockstar’s magnum opus is not only the best of the series so far, but it also surpassed the 80 million copies sold mark this May, proving to be a long-running hit and one release that the gaming public just doesn’t seem to get tired of. And market research company NPD Group analyst recently revealed that Rockstar’s game is in fact the best-selling game in the US since they began tracking back in 1995, as reported on venturebeat.com. Actually, the game was amongst the top 10 selling video games in the US in 2016 according to NPD, which taking into account that it originally hit the shelves back in November 2013 is quite stunning. You might be surprised to know, though, that despite shifting 80 million copies and being a worldwide hit the likes of which we haven’t seen in a while, GTA V is not yet the top-selling game of all time. No, that honour falls to puzzle game Tetris, the 80’s hit which has sold a whopping 495 million copies across all formats to date. Also, Microsoft’s legendary Minecraft surpasses GTA V when it comes to copies sold, having shifted more than 120 million units to date. And that Nintendo sensation Wii Sports is still ahead of GTA V too, mostly having to do with the fact that the game was bundled with almost every single Wii console out there. 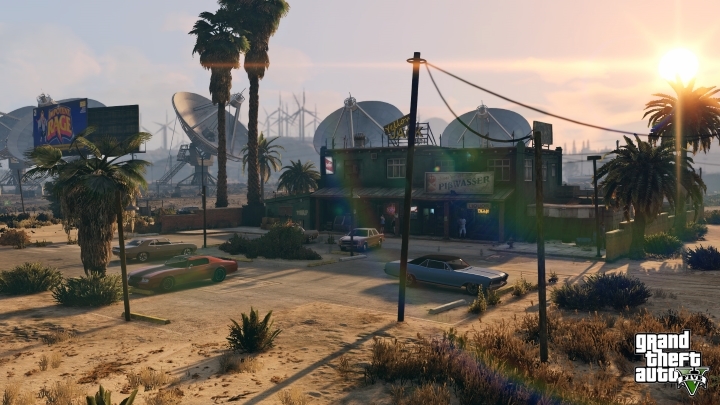 GTA V is still selling like hot cakes, and has now sold 80 million copies to date. But still, even if GTA V might not be topping the all-time sales chart yet, it has sold an incredible number of copies to date nonetheless, which might leave those who are not into the Grand Theft Auto games wondering what the secret behind the game’s success is. And it’s not only that GTA V boasts an incredible open world with countless side activities to take part in such as golfing, watching TV shows in-game and even stock trading, this also had a fantastic single player campaign in which you control three different protagonists. And clearly Trevor, Michael and Franklin are some of the best characters of all time too. Also, the fact that the game deals with mature subjects and is centred on carrying out criminal activities have made it controversial, with it even being removed from store shelves in Australia at some point, something that in the end did nothing to hinder sales of Rockstar’s game. What’s really keeping the game alive these days though, is GTA Online, which has taken a life of its own and is now the main reason why many people choose to play GTA V these days. This is because GTA Online offers all the fun of the Grand Theft Auto games but in a multiplayer setting, letting you create your own stories together with friends and other players, and thanks to this it has extended the shelf life of GTA V a big deal. There’s more to come from Rockstar, though, as the American company has announced that Red Dead Redemption, the sequel to their 2010 cowboy hit, will be with us in Spring next year. Suffice to say that this is one of the most eagerly awaited games in a very long time, and like GTA V it will also feature an online component. Whether it will become as big and sell as well as GTA V is another matter though, nonetheless this is a game that many expect to top sales charts when it hits shelves in 2018. But for the time being we’ll keep seeing a Rockstar game amongst the year’s top-sellers, as there’s no doubt GTA V will keep featuring in the best-selling video game charts for the foreseeable future.